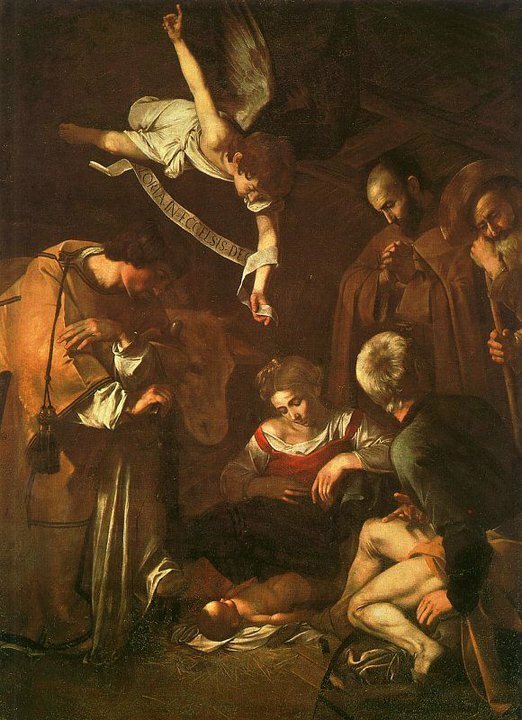 Sixth Day in the Octave of Christmas: "your sins have been forgiven"
... for his name’s sake. Only God forgives sins. Since he is the Son of God, Jesus says of himself, "The Son of man has authority on earth to forgive sins" and exercises this divine power: "Your sins are forgiven." Further, by virtue of his divine authority he gives this power to men to exercise in his name. 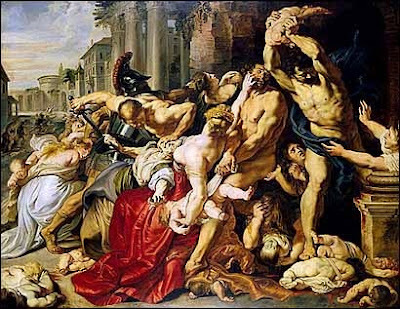 Holy Innocents, Martyrs: "Herod became furious"
When the Church keeps the memorials of martyrs and other saints during the annual cycle, she proclaims the Paschal mystery in those "who have suffered and have been glorified with Christ. 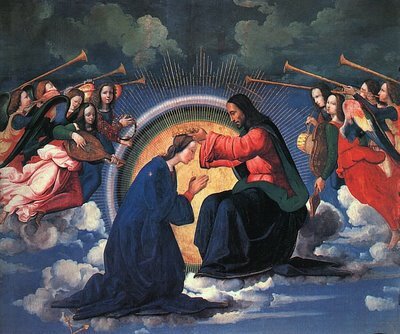 She proposes them to the faithful as examples who draw all men to the Father through Christ, and through their merits she begs for God's favors." Saint John the Apostle and Evangelist: "the Word of life"
If any human person could ever claim the capacity to head a single-parent family it would be Mary, would it not? Immaculately conceived, a virgin daughter of Israel faithful to God and His law, holy Mary was equipped well, if anyone ever was, to go it alone. She even conceived a child outside of natural means through the intervention of the Holy Spirit: she had no need of relations and so a father was not involved in her motherhood as is normally the case. If there was ever a time that a woman could rightfully hesitate to entrust herself to a man in marriage it was Mary. And yet God intervened and ensured that Joseph would be the foster father of Christ. Even for God Himself it was necessary to have both a father and a mother. Christ's total solidarity with the human race following upon His incarnation on the first Christmas demanded that he also enter into the experience of the human family as all of us do. "Christ chose to be born and grow up in the bosom of the holy family of Joseph and Mary. The Church is nothing other than "the family of God." From the beginning, the core of the Church was often constituted by those who had become believers "together with all [their] household." When they were converted, they desired that "their whole household" should also be saved. These families who became believers were islands of Christian life in an unbelieving world." 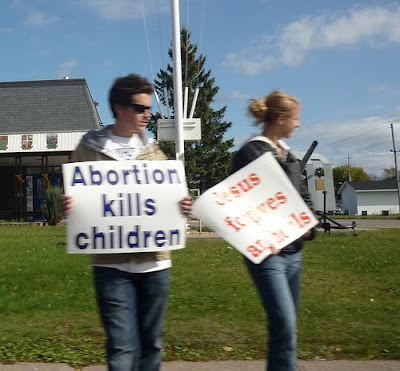 God reaffirmed His plan that every child has a right to be naturally conceived in keeping with human dignity, though not so by necessity in the case of the Lord, but always to enjoy the benefit of a father and mother. All of us have been exposed to the current madness in which individuals, societies and governments act as though the family can be manipulated into some combination of persons other than one man and one woman called to radical openness to the new life of the children they may bring into the world. Manipulation of the family as created by God is an abomination and a sinful usurpation of God's will and plan for the flourishing and happiness of every human person. Catholic Christians should shun any sign of approval for events which involve marital simulation ceremonies, or invalid or unnatural unions. The scandal that results from attending such events must be made account of in the tribunal of God because of the impediment they pose for salvation of oneself or others. Speaking or acting in such a way as to lead others to believe that one approves of such events is such a scandal. Faith demands the witness of our actions if it is sincerely held. "In a so-called free union, a man and a woman refuse to give juridical and public form to a liaison involving sexual intimacy. "The expression 'free union' is fallacious: what can "union" mean when the partners make no commitment to one another, each exhibiting a lack of trust in the other, in himself, or in the future? Today we experience the opposition of evil to God. "The flight into Egypt and the massacre of the innocents make manifest the opposition of darkness to the light: "He came to his own home, and his own people received him not." Christ's whole life was lived under the sign of persecution. His own share it with him. Jesus' departure from Egypt recalls the exodus and presents him as the definitive liberator of God's people." All of us and all of our families face the darkness of sin in this world which results when God and His plan are rejected. All of us are called to seek Christ the new-born Savior and His light to guide us through confusing and sometimes discouraging times so that we know the purpose and joy of living the truth which sets us free for happiness now and forever because it corresponds to the dignity to which we have been called by God from creation and to which we have been restored in Christ who alone can destroy death and restore life. That we may choose life let us choose Christ who alone can give the gift. With best wishes for a merry Christmas to everyone. Peace on Earth, good will to those who love God. You are my son; this day I have begotten you? If someone returned to earth from 1000 years ago and saw so many people huddled over tiny electronic gadgets in their hands, or held for long periods to their ears, or even risking an accident in order to use while driving a car, what would they think? They might think that we were in love with our cell phones! They also might make the very reasonable assumption that we worship these small communication devices, devoted as we are to bringing them with us wherever we go, and showering them with care and attention as we do. But we would laugh if they accused us of these things. We know the difference between a love of adoration and a love of the convenience 0r usefulness of cell phones. Or do we? We only what to remain in loving communication with our spouse or children or to be able take care of business while away from the office. Many Catholics say they love God, but though physically capable of doing so no longer genuflect in His Presence at church where the Blessed Sacrament is reserved. Many receive Communion with their hands hanging down near their belt buckle, appearing as though they believe that the One whom they receive is less important than ordinary bread. Some refer to the consecrated Eucharistic species as "bread" or "wine", either revealing their own confusion or causing confusion for others. Many talk in church when others are trying to pray, forgetting that the primary purpose of visiting our church is to spend time in loving devotion for and attending to God. Some are habitually casual or indifferent about regular attendance at Sunday Mass, even causing scandal by failing to take their children to Sunday Mass when they are able to do so. These are lost opportunities for the worship of God by which we grow in love of Him and in the grace of faith by which we are to be saved. Would someone be able to rightly say that you or I appear to care more about a cell phone or some other possession than we do about God? That depends upon whether we know the difference between what kind of love we owe to God and what kind of love we give to other persons or things. There are many persons or things we might love in various ways, but there is only one case where our love must also include adoration or worship. Many are unfamiliar with or have forgotten what is necessary in order to give the love that is due to God: we must give him the love of adoration, worshiping Him as God alone and no other as we are commanded to do in the Decalogue. Where do we worship God? Precisely here and now in the liturgy of holy Mass. That is why the way in which we say or listen to the prayers, sing the hymns or watch the actions of the liturgy is important. God Himself has given this gift to us so that we might have a means of showing and growing in our love for Him. At Christmas we adore the Christ Child, really and truly born for us on a particular day and time, just as we were born. 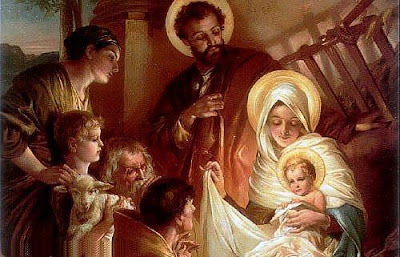 And we come into contact with this reality by coming to the crib here in our church and kneeling before the image of the new-born Lord as we did at the beginning of our Christmas Mass, using incense and song to give voice and action to our adoring love. We adore Him by kneeling in prayer before His holy image here. But the use of images impels us to do more: to adore Christ truly present here on our altar in the most blessed Sacrament of the Altar. As we come forward we stop and bow or we kneel before receiving Him as a sign that He is God, preparing ourselves to receive Him with the proper disposition of Faith which brings salvation in and through Him. "Come, let us adore Him." On this Christmas we ask the Lord Jesus, who has made it so easy for us to approach and to love Him because He is born as a little child, to make us also know how to worship Him, rejecting all idolatry and giving Him the adoration due to Him alone as God and to no other, that we may know here and now, and every day, the graces of salvation which come only through putting our faith in Him as Lord and Savior. Praised be Jesus Christ, the new-born Savior, now and forever! Amen! Thursday, Advent Wk III: “What did you go out to the desert to see?" what did you go out to see? A prophet? Yes, I tell you, and more than a prophet. This is the one about whom Scripture says: Behold, I am sending my messenger ahead of you, he will prepare your way before you. St. John the Baptist is the Lord's immediate precursor or forerunner, sent to prepare his way. "Prophet of the Most High", John surpasses all the prophets, of whom he is the last. He inaugurates the Gospel, already from his mother's womb welcomes the coming of Christ, and rejoices in being "the friend of the bridegroom", whom he points out as "the Lamb of God, who takes away the sin of the world". Going before Jesus "in the spirit and power of Elijah", John bears witness to Christ in his preaching, by his Baptism of conversion, and through his martyrdom. Blessed Honoratus Kozminski, pray for us. Wednesday, Advent Wk III: "Are you the one who is to come"
the poor have the good news proclaimed to them. And blessed is the one who takes no offense at me. When the Church celebrates the liturgy of Advent each year, she makes present this ancient expectancy of the Messiah, for by sharing in the long preparation for the Savior's first coming, the faithful renew their ardent desire for his second coming. By celebrating the precursor's birth and martyrdom, the Church unites herself to his desire: "He must increase, but I must decrease." Blessed Mary Frances Schervier, pray for us. 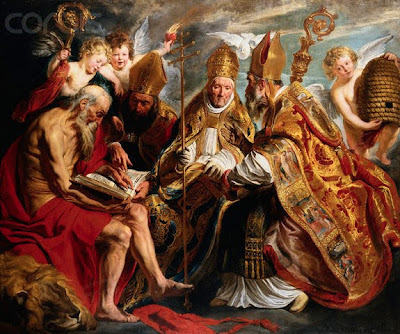 Saint Damasus, pope: "turn back the hearts of fathers toward their sons"
Vices can be classified according to the virtues they oppose, or also be linked to the capital sins which Christian experience has distinguished, following St. John Cassian and St. Gregory the Great. They are called "capital" because they engender other sins, other vices. They are pride, avarice, envy, wrath, lust, gluttony, and sloth or acedia. Friday, Advent Wk II: "Wisdom"
... is vindicated by her works. We believe that God created the world according to his wisdom. It is not the product of any necessity whatever, nor of blind fate or chance. We believe that it proceeds from God's free will; he wanted to make his creatures share in his being, wisdom and goodness: "For you created all things, and by your will they existed and were created." Therefore the Psalmist exclaims: "O LORD, how manifold are your works! In wisdom you have made them all"; and "The LORD is good to all, and his compassion is over all that he has made." 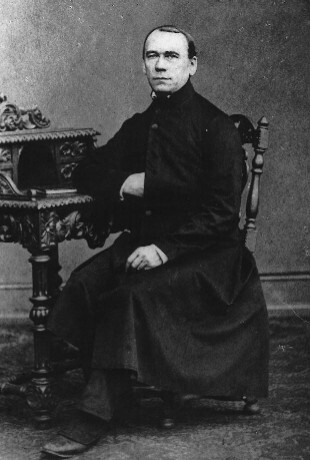 “The first thing that a person finds in life and the last to which he holds out his hand, and the most precious that he possesses, even if he does not realize it, is family life.” Blessed Adolph Kolping, (in photo) pray for us. 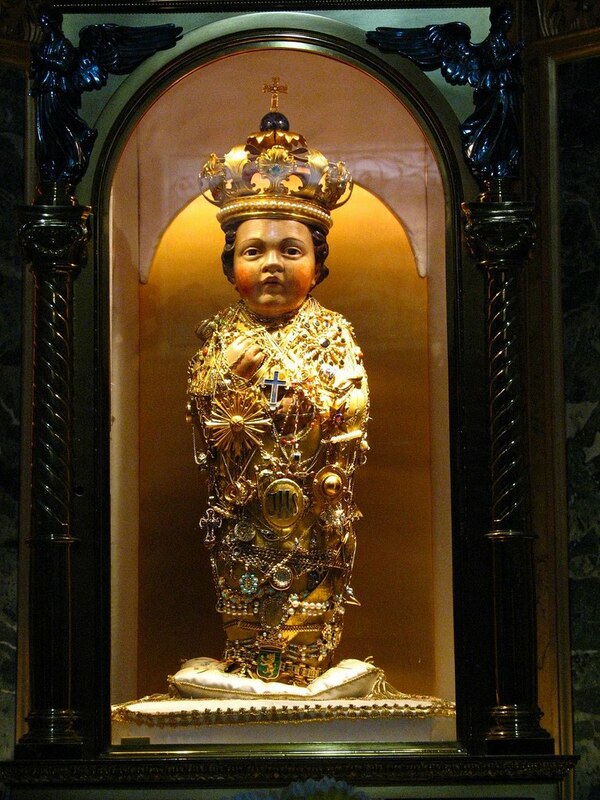 St Juan Diego. "All the prophets and the law prophesied"
John the Baptist is "more than a prophet." In him, the Holy Spirit concludes his speaking through the prophets. John completes the cycle of prophets begun by Elijah. He proclaims the imminence of the consolation of Israel; he is the "voice" of the Consoler who is coming. As the Spirit of truth will also do, John "came to bear witness to the light." In John's sight, the Spirit thus brings to completion the careful search of the prophets and fulfills the longing of the angels. "He on whom you see the Spirit descend and remain, this is he who baptizes with the Holy Spirit. And I have seen and have borne witness that this is the Son of God. . . . Behold, the Lamb of God." Saint Ambrose, bishop and doctor: "go in search of the stray"
... if he finds it, amen, I say to you, he rejoices more over it than over the ninety-nine that did not stray. At the end of the parable of the lost sheep Jesus recalled that God's love excludes no one: "So it is not the will of your Father who is in heaven that one of these little ones should perish." He affirms that he came "to give his life as a ransom for many"; this last term is not restrictive, but contrasts the whole of humanity with the unique person of the redeemer who hands himself over to save us. The Church, following the apostles, teaches that Christ died for all men without exception: "There is not, never has been, and never will be a single human being for whom Christ did not suffer." In these days leading to Christmas homes are decorated with lights and festooned in the favorite colors and symbols of the season. 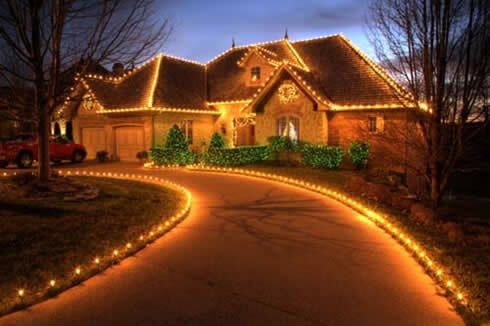 These reflect the joy and anticipation that many feel in looking forward to the Christmas celebration. This joy is a spiritual quality because it is an interiorly felt and thought set of emotions and convictions which comes from sharing in God's love. The beautiful symbols and lights of the season express a desire to share this love. Love is the glory of God. And here, in His church where we truly meet and know Him who is the source of love and who shares His with us His divine glory, should not our convictions of this fact also be expressed in seeking beautiful decorations and furnishings for His house? Should we not seek to express His love in the beauty of music and other symbols such as the vestments of the priest and the clothing we choose to wear for Sunday Mass? It became fashionable for quite a long time for some in the Church to use the Second Vatican Council as an excuse for disliking and even detesting some aspects of the Church's life. "I don't like Latin" some would say or, others, "I don't like Gregorian chant" or it would be certain vestments or organ music. Many were not sure what they did in fact like, or whether what replaced the many things which were thrown onto the ash heap of history after 1962 were being replaced with anything of equal value, dignity or sacredness. It seemed for a long time that Vatican II for many was understood not necessarily as an affirmation of anything so much as it was a rejection of everything which came before it. In an institution founded by God because a fruit of God's self-revelation in Jesus Christ, whose words and deeds were handed on by the Apostles He chose and sent in His power and authority, the rejection of tradition, that is of the Faith and life handed down by Christ, would seem a most dangerous thing. And yet this recklessness was entertained and encouraged by many in authority and accepted by many lay faithful in the Church as an authentic representation of the mind of the Church as expressed through the teachings of Vatican II because of that authority. This juggernaut of rupture in the life of the Church was often cloaked with the veil of authority through frequent reference to "the Spirit of Vatican II." And then there are the documents of Vatican II. Many, upon reading them for the first time, expressed genuine shock at their orthodox and traditional gist. Others marveled that so many for so long were able to misrepresent the so-called "Spirit" of the Council in a way so flagrantly in violation of the letter of that same Council. But the fallout continues in the life of the Church today. Many of those who were swept up in the heady spirit of those days almost fifty years ago still operate under the assumption that the Church sanctioned the detestation of certain sacred things and liturgies in the best interests of the Church. In light of the fact that the Church is herself a traditio, that is something handed down through the same Holy Spirit today as that conferred by Christ two thousand years ago, this error amounts to little more than institutional suicide. Many young people who happen onto the scene today marvel at the attitude of ambivalence, and sometimes worse, toward historic and holy aspects of the life of this Church handed down as the fruit of 2,000 years. The expression of the Church's faith through the prayer of the liturgy is always subjected to her teaching authority. It is for this reason that an iconoclastic attack upon any part of the Church's life of prayer and worship lets loose an attitude of rebellion against the teaching authority itself. "Lex orandi est lex credendi" expresses the truth of the inner connection between what we believe and how we worship. An attack on the one is an attack on the other. What the Church has done at any time in her history by everyone everywhere expresses what the Church believes. 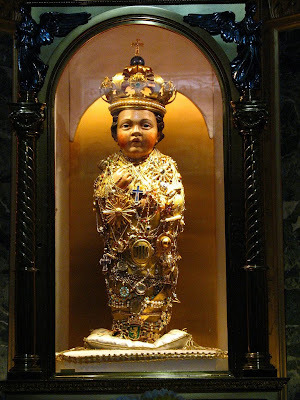 Any Catholic may be legitimately attached to and draw grace from these things and, at the same time, every Catholic should recognize that charity demands these should be respected and esteemed even if not a personal preference. Through His letter of 7 July 2007, Summorum Pontificum, Pope Benedict seeks to make peace in the Church by setting to rest any mistaken notion that Vatican II sought to sweep away everything that came before it, or at least that the Council gave individuals the carte blanche to seize capriciously upon things new and untested in a breathless search to replace everything considered old, tried and found lacking. The liturgies of the Roman Rite from before and after the Second Vatican Council are no longer "old" or "new" with all the connotations good or bad that may come from those designations. 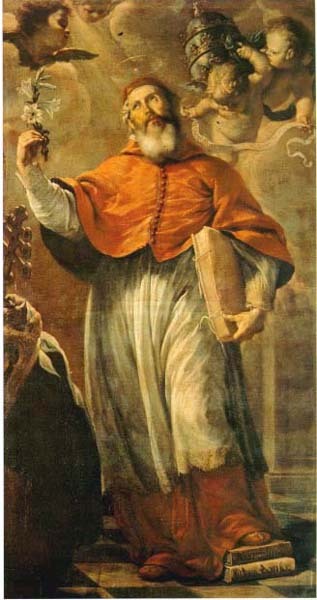 Instead, we have the Ordinary Form, which is the way in which most Catholics presently choose to worship, and the Extraordinary Form, the liturgy of 1962 which grew organically and continuously from the seed of that first liturgy in the Upper Room offered by the Lord Himself and which was the starting point for the "fabrication" * of the Ordinary Form . It is true, as John the Baptist preached, that "God can raise up children to Abraham from these stones" but He chose instead to raise up children in and through Christ His divine Son. Through both forms of the one Roman Rite, Ordinary and Extraordinary, the Spirit of the Lord rests upon the Church so that "the earth shall be filled with knowledge of the LORD, as water covers the sea". It is in the "today" of the Church that "the root of Jesse, set up as a signal for the nations, the Gentiles shall seek out, for his dwelling shall be glorious." Blessed Virgin Mary on Saturday: "The light of the moon will be like that of the sun"
... and the light of the sun will be seven times greater like the light of seven days. "Christ is the light of humanity; and it is, accordingly, the heart-felt desire of this sacred Council, being gathered together in the Holy Spirit, that, by proclaiming his Gospel to every creature, it may bring to all men that light of Christ which shines out visibly from the Church." These words open the Second Vatican Council's Dogmatic Constitution on the Church. By choosing this starting point, the Council demonstrates that the article of faith about the Church depends entirely on the articles concerning Christ Jesus. The Church has no other light than Christ's; according to a favorite image of the Church Fathers, the Church is like the moon, all its light reflected from the sun. Thurs, First Wk of Advent: "Open up the gates"
to let in a nation that is just, one that keeps faith. Faith is a personal act - the free response of the human person to the initiative of God who reveals himself. But faith is not an isolated act. No one can believe alone, just as no one can live alone. You have not given yourself faith as you have not given yourself life. The believer has received faith from others and should hand it on to others. Our love for Jesus and for our neighbor impels us to speak to others about our faith. Each believer is thus a link in the great chain of believers. I cannot believe without being carried by the faith of others, and by my faith I help support others in the faith. Wed, First Wk of Advent: "he took the seven loaves"
... and the fish, gave thanks, broke the loaves, and gave them to the disciples, who in turn gave them to the crowds. They all ate and were satisfied. They picked up the fragments left over–seven baskets full. The miracles of the multiplication of the loaves, when the Lord says the blessing, breaks and distributes the loaves through his disciples to feed the multitude, prefigure the superabundance of this unique bread of his Eucharist. The sign of water turned into wine at Cana already announces the Hour of Jesus' glorification. It makes manifest the fulfillment of the wedding feast in the Father's kingdom, where the faithful will drink the new wine that has become the Blood of Christ.